Spray Marks is synonymous with good design and engineering throughout the South Island. 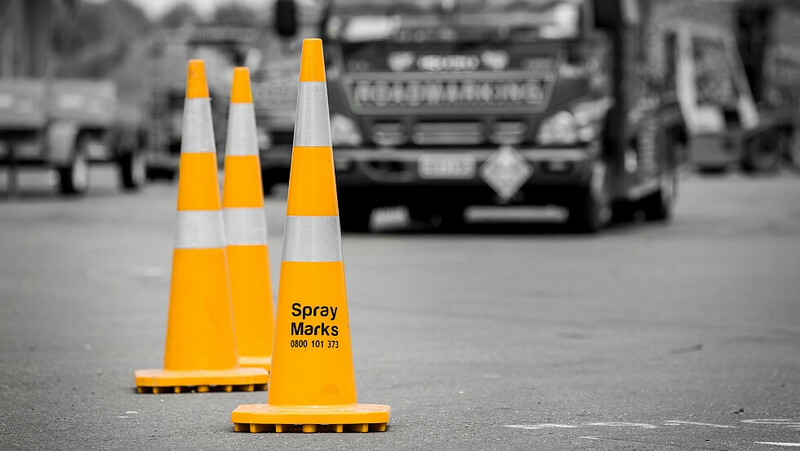 From design and installation of new plant and industrial machinery, graphic design of signs, vehicles and logos, to traffic management plans and equipment hire, Spray Marks offers a broad range of services to complement our core road marking business. From bases in Ashburton, Christchurch and Kaikoura, discover a team who approaches every job with the same enthusiasm, no matter how big or small. While working on your project, our knowledge, people and products combine to deliver results with the type of exceptional service that leaves people talking. Our team takes pride in our ability to adapt and innovate. Then leave it to us; we’ll make it happen. Count on us to get it done, make it happen, make it go or get it moved! Industrial Maintenance specialists. Structural steel work/fabrication for greenfield developments. Design and installation of plant in primary industries. Air & Extraction systems design and development. Arrange your temporary traffic management and sign hire with a team that’s been here form the start. The local knowledge and technical expertise of our Christchurch and Canterbury teams delivers practical advice that backs up approved traffic management plans for your worksite or event. Spray Marks’ road marking team turns up and puts the icing on the cake throughout the South Island. Specialist hi-tech equipment delivers a quality finish on projects from road marking, custom car park marking, removal to road sign/guard rail/thermoplastic installation. Do you enjoy thinking outside the box? Giving customers the best you’ve got, every time? Join a team that’s committed to innovation, exceptional service and a desire to lead in our industry. With head office in Ashburton and a Christchurch branch in Hornby, you’ll work in new and modern facilities. Share our passion for technology, and provide innovative solutions whilst growing your own skillset. Ready to get up for more than just a pay cheque?